National Book Auctions is holding its final auction of the year early in December. Offering over 450 lots, the catalogue features two important historical volumes. One is the 1814 chronicle of the explorations of Lewis and Clark and the other is a first printing of Mein Kampf, inscribed by Adolf Hitler. This catalogue also offers an assortment of antique volumes, thousands of author-signed titles and US history-themed books and ephemera. 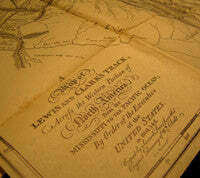 The 1814 first English edition of Travels to the Source of the Missouri River and Across the American Continent to the Pacific Ocean, provides a detailed account of Lewis and Clark's expedition across the unexplored Louisiana Territory, derived from the journals of the explorers. The volume retains the original six engraved maps, including the large fold-out which many credit for launching the modern era of map collecting. This work details various Native American tribes encountered on the expedition to what is now Yellowstone National Park, present-day Texas and beyond. The 1927 first printing of the second volume of Mein Kampf, contains a personal inscription from Adolf Hitler to his close friend and resident German priest from the church he frequented in the Munich area. This second volume of the dictator's political manifesto, titled Die Nationalsozialistische Bewegung (The National Socialist Movement), was written after Hitler's release from prison in December 1924. Although naturally controversial, collecting Hitler's autographs can be a solid investment. He signed quite frequently, so they are only worth more than a few thousand pounds/dollars if there is something spectacular about them. But as the dictator is famous throughout the world, and WWII militaria collectors are always likely to want his signature as a keystone in their collection, their value is only likely to increase. A signed photograph and deployment order are available outside the auction. 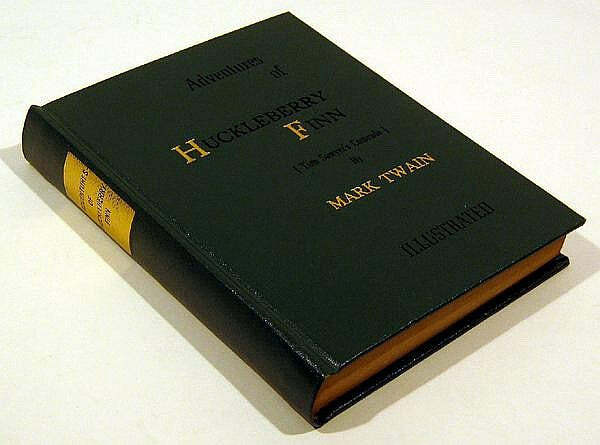 This catalogue contains a variety of original antique and signed volumes, including a two-volume early twentieth century work on dogs edited by Harding Cox and a first edition of Mark Twain's Adventures of Huckleberry Finn. We are continuing to work through an inventory of approximately 10,000 author-signed books and this catalogue features over 200 lots from this collection. This auction contains an assortment of history-themed antique books and ephemera, including a collection focused on the Pacific Northwest and Alaska as well as county histories from New York State including Genesee, Tioga, Chemung, Tompkins, Schuyler and Steuben counties. Among the ephemera are early newspapers, magazines, advertisements, articles, pamphlets, catalogues, souvenir items and many other categories. Additional offerings include a small collection of stamps, featuring mint US stamps and stamps from Britain, various German colonies and Canada. The auction takes place on December 5 in New York and online. Watch this space for the results of this auction, and other outstanding results from National Book Auctions.